We, each of us, have times we can look back on when we found ourselves at the bottom of what appeared to be a deep pit. When we’re feeling like we are at the bottom of a pit – we have a few tendencies, one is to yell a bit. And that’s fine…but it doesn’t get you out of the pit. (If I wasn’t being serious now- I’d break into song … (Parks and Rec reference.) but I am being serious so I won’t. When in the pit you can just wait. I really love having to wait – you may have noticed that before now. I think I’m getting better at it but I’m not sure- others may question that assertion. When in a pit it’s always a good idea to look to God’s word, for my part, I return as I always must to my favourite of the Old Testament characters/ Joseph. God has great things prepared for Joseph – a role to play in the salvation of his family, the rescuing of a nation. 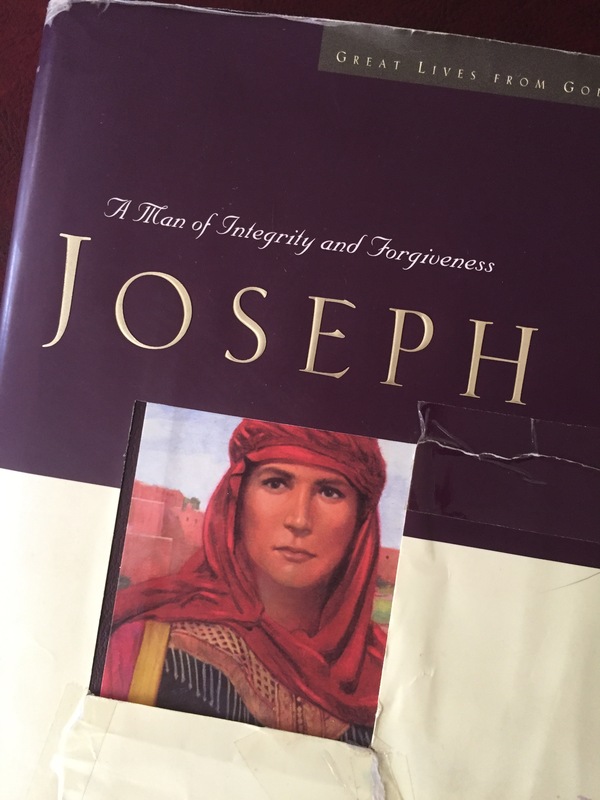 God revealed some of this to him, Joseph however may have misinterpreted his own dreams initially – he thought that his role was limited to simply being “ruler” over his brothers and that his parents who would one day bow down before him. God had more in mind, but as with everyone that God raised up to do great things there is a road of humility to walk first. A road down before the way up. How could we honestly expect anything different? Those of us who do, should reexamine our hearts. Who are we following if we expect to be met with reward upon reward and never have a single moment of difficulty. If our life has been a series of taps on the shoulder, we should take care – the time will come when the path up is actually the way down. As Christians we follow the one who took the ultimate stoop. The One who literally stepped down. The word of God is replete with people who have been marked for greatness, humbled, in some cases humiliated, proved and then raised up. The word of God also has a little to say about those who are raised up by the people at a time when God was not yet ready. Maybe at the moment you are in the bottom of that pit. While you are there listen. This is when you will hear that still small voice. Only in humility or as one has recently said humiliation can we truly draw alongside the One who humbled Himself, allowed Himself to be taken, the One who willingly stooped. Humility is often hard to spot – sometimes it looks like hurt. Sometimes it looks like weakness, most of the time it’s not even noticed, it gets confused for other things … C.S Lewis says it beautifully. A few people I know have felt the sting of humiliation recently, the truth is there’s nothing that will get you through – there are no words to be said – no one actually knows your unique pain other than the One who willingly took this on Himself so that right now you could come to Him and know that He understands. His humility is what has made Him the great high priest, the One who is touched by the feelings of our infirmities. His humility is exactly what made Him the saviour of His people. His heart was not for himself, His heart was for the world, His heart was for us – the ones who didn’t even know we needed Him, the ones who didn’t want Him. My friend, let us not forget that your Father in heaven sees what is done in secret – He is the only one who can see into the bottom of that pit and He knows the way out, He will lead you out. He is not one to overlook or forget when the time is right. Our God, yours and mine, is no amnesiac. If it’s not til the glory days – guess what? You’ll be okay with that.